in B. R. Johnston & all. (eds), Water, Cultural Diversity & Global Environmental Change: Emerging Trends, Sustainable Futures?, 2012, UNESCO/Springer, p. 77-96. In arid North Africa, control over water has long been and continues to be central to political and economic power for a wide variety of actors. 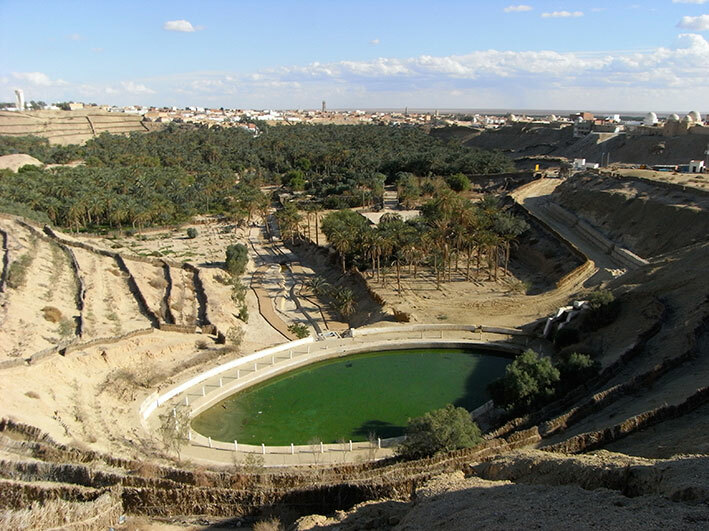 The recent history of Tunisia, and particularly that of the oasis gardens of the Jerid region, demonstrates the social and environmental consequences of the transfer of control over water from local to colonial and then national elites. The oasis is the scene of conflicts over fresh water resources; local people are constantly adapting to new situations, learning to diversify their practices and discourses. The positions and the behaviours of the different actors on the oases towards the use of water are heterogeneous. The state itself has a ‘schizophrenic’ attitude. In one hand, the administration wants to proceed to a mining exploitation of the water resource to take possession of other resources (to foreign currency through a particular cultivar of dates, Phœnix dactylifera L., var. deglet nur). 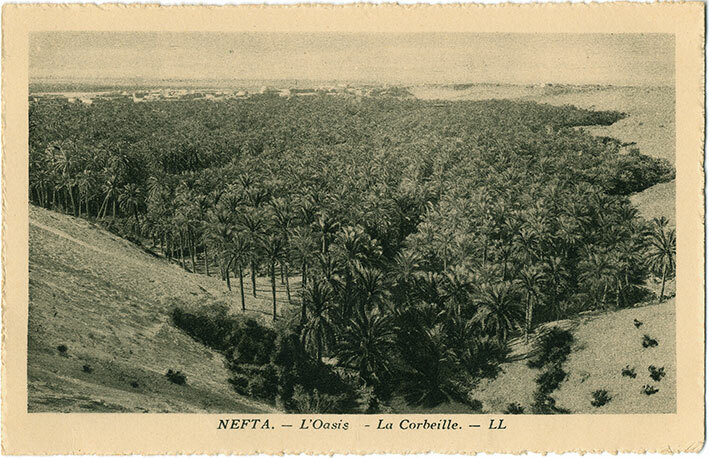 In the other hand, the state needs to control and ‘protect’ it in the aim of keeping or restoring the ‘traditional scenery’ of oases (government foresees to develop a Saharan tourism, the Mediterranean region being now blocked up). The local farmers have displayed a diversification of their practices, among other things a diversification of the origin of their water of irrigation with private wells. This diversification of thoughts and practices about water is a source of various conflicts of representation. In a recent works, I have purposed a new comprehensive concept of ‘resources’. ‘Socioecological resources’ combine in the same movement real and conceptual resources. The overall idea is first that a kind of natural resource, like water, is exploited thanks to such-and-such perception of the environment. In the second place, actors can play not only with different resources but also with different perceptions and practices of the environment (and they have to). Actors make use of natural resources (water, in this article) and make use of ‘manners of use’. With this approach, we can reread the shared history of the Jerid and water. It is no longer a history of actors on the environment and particularly the water; the evolution, share and contamination of ‘what underlies the action on water’ will tell us how regional and national control of water resources have been embedded into patterns of economic and political control. p. 4, Irene J. Klaver, “Chapter 1.0. Introduction: Water and Cultural Diversity” in Barbara Rose Johnston, et al. (eds), Water, Cultural Diversity, and Global Environmental Change: Emerging Trends, Sustainable Futures?, Paris, Jakarta, Unesco/ Springer, 2012. 1920 ca: Nefta, l’oasis, la Corbeille. LL. Lévy & Neurdein réunis, Paris, édité spécialement pour les hôtels “Transatlantique”. The book Water, Cultural Diversity & Global Environmental Change: Emerging Trends, Sustainable Futures? is part of the project on Water and Cultural Diversity from the International Hydrological Programme  (UNESCO). Our use of the term “cultural diversity” in the title reflects an explicit effort to examine the complex role water plays as a force in sustaining, maintaining, and — in its enclosure, commodification, and degradation — threatening the viability of culturally diverse peoples. We argue that water is a fundamental human need, a human right, and a core sustaining element in biodiversity and cultural diversity. IHP is UNESCO’s international scientific cooperative programme in water research, water resources management, education and capacity-building, and the only broadly-based science programme of the UN system in this area. This article has been read 17665 times. Dernière mise à jour de cette page le Tuesday 30 May 2017 à 10:45:18. //// -----> Citer cette page? Vincent Battesti, "The Power of a Disappearance: Water in the Jerid region of Tunisia" [en ligne], in vbat.org anthropoasis, page publiée le 22 December 2011 [visitée le 22 April 2019], disponible sur: http://vbat.org/spip.php?article525.